The Killeen Police Department is asking for assistance identifying a Robbery suspect. 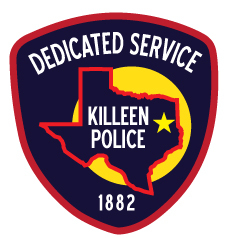 On Sunday, October 15, 2017, at 9:00 p.m., Killeen Police responded to the Family Dollar Store, located at 4802 Bridgewood Drive, after receiving a 911 call telling them the store had just been robbed. As the officers were responding they learned that an armed male entered the store and demanded money from the clerk; he then fled the store on foot. The suspect is described as a black male, approximately 6’ to 6’5” tall, weighing approximately 225 pounds and was last seen wearing a black hoodie, black jeans and a blue bandana covering his face. Detectives are asking that anyone who can help identify the suspect in this photo to please contact Crime Stoppers at 254-526-TIPS (8477) or go online at www.bellcountycrimestoppers.com. You can also download the P3tips App for IOS and Android and give an anonymous tip. All information is anonymous and confidential and if your tip leads to the arrest of the suspect, you could be eligible for a reward up to $1,000 in cash.